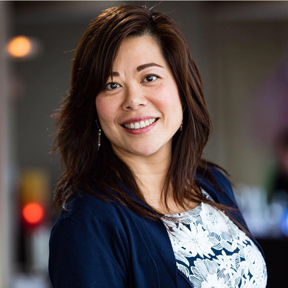 Wittenborg CEO, Maggie Feng, is one of two finalists in the running for the Netherlands’ 2017 Ethnic Business Woman of the Year Award. The winner will be announced at a prestigious Gala Event on 25 November. The other finalist is Eveline Wu, chef and owner of the restaurants De Kreeftenbar, MOOD, Soho and Wynwood. Both women were born and raised in China – Feng in Beijing and Wu in a small town close to Shanghai. Were you surprised by the EZVN nomination? "Pleasantly surprised! It is not very common for entrepreneurs in the education sector to be recognised by the business community for distinguishing themselves. We could almost be mistaken for being part of the public sector! The culture in the west of the Netherlands is also very different from that in the east – in the east we don’t shout so much about our achievements." What do you see as the biggest achievement in your career? "The ability to keep on learning and innovating myself by constantly acquiring new knowledge and skills." What were the more challenging moments? "When we lost students who had their whole lives ahead of them, like Chinese student Debbie Kuang in 2012 and more recently Russian student Ekaterina Zhuravleva who passed away in September this year. Of course, it is also hard when we lose staff like lecturer Ton Willems who passed away in January." What advice would you give young female entrepreneurs? "Stay curious about the world, keep learning and gaining new knowledge. If you have a good story to tell, keep telling it, but make sure that you have done your homework." Gender equality seems to come very natural to you. Where does this confidence come from? "I think it comes from my upbringing in China, where especially in the big cities like Beijing men and women are treated equally. For instance, when I came to the Netherlands I had never even heard of disparity in gender pay." Have you always had this hunger for learning and drive? "I think one of my key abilities is that I am a fast learner and I am curious about why and how things are happening. Things are very different now than with the previous generation where you were expected to stay in your field of expertise and not meddle in things that were none of your business. I am not afraid to challenge ‘field experts’ in their territory. That is also the type of attitude I would encourage in other female entrepreneurs." How will you use the platform given to you by the EZVN nomination? "Being nominated means that you will be an ambassador for the award, and encourage more women from non-Dutch backgrounds to participate in business and be more visible in society." Feng, who speaks English, Dutch and Mandarin, studied Engineering Management at the Beijing University of Technology, and came to the Netherlands as an exchange student where she met her husband Peter Birdsall, Wittenborg’s chair of the executive board. The couple have a 10-year-old son. Besides her job as CEO - which includes being head of Wittenborg’s Research Centre, leading a major EU-funded project in sustainable energy – she is also a jury member of the Apeldoorn Business Awards and ambassador for the annual canal concerts in Apeldoorn. She has an MSc in Facility Management from the University of Greenwich in the UK.